Using a custom report template, admins can choose to convert scores from a numerical value to a percentage on some of our standard 360 report components. 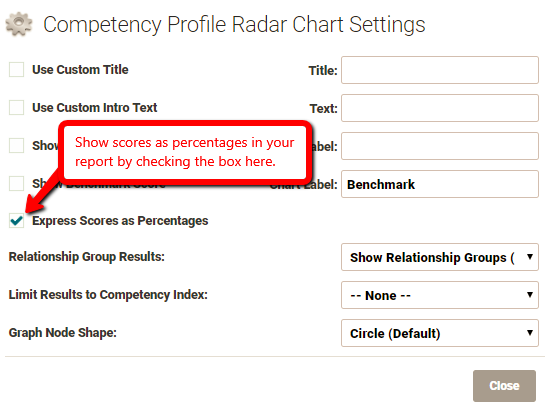 Click the "Settings" option on the right side of the screen for any of the following components: Competency Profile Chart, Competency Summary, Individual Review Items or Blind Spots/ Hidden Strengths. Here, you will find the option to express scores as percentages by checking the box.